The prevailing view within the NFL community is the Cardinals are going to select Oklahoma quarterback Kyler Murray with the first overall pick in the 2019 NFL Draft on April 25. The speculation began because of a rather innocuous statement Cardinals head coach Kliff Kingsbury made last season, when he was Texas Tech’s head coach, about the 2018 Heisman Trophy winner when Murray was expected to play professional baseball because he was taken ninth overall by the A’s in last June’s MLB Draft. Kingsbury, who has the same representation as Murray in Erik Burkhardt, said, “Kyler is a freak … I would take him with the first pick if I could” before playing Oklahoma. Cardinals general manager Steve Keim didn’t do himself any favors at the NFL combine in late February by commenting that Josh Rosen, who Arizona selected 10th overall in last year’s draft after trading 2018 third- and fifth-round picks to the Raiders in order to move up five spots, was the team’s quarterback “right now.” The lukewarm endorsement of Rosen only added fuel to the fire about selecting Murray. Rosen reportedly isn’t being actively shopped for a trade, although other teams have made inquires to the Cardinals about him. The Cardinals hosted Murray on a visit last week. Rosen doesn’t appear to be letting the uncertainty surrounding his future in Arizona outwardly affect him. He was reportedly the first player to show up last week when the Cardinals began offseason workouts. Rosen signed a fully guaranteed four-year rookie year contract worth just under $17.6 million, including a signing bonus of nearly $10.9 million, last year. He is scheduled to make slightly less than $1.279 million on a salary cap number of $3,999,491 this year. It would be unprecedented in the salary cap era, which dates back to 1994, for a first-round quarterback to be traded before his second season. Arizona’s 2019 cap charge for Rosen would more than double to $8,158,779 by trading him. The signing bonus proration from Rosen’s 2020 and 2021 contract years would accelerate onto this year’s cap. The Cardinals would have essentially given Rosen just under $11.36 million for one year by dealing him, which is 64.5 percent of the total value of his rookie contract. Rosen’s circumstances as a rookie were less than ideal. The Cardinals had the NFL’s worst pass blocking offensive line, according to Pro Football Focus’ metrics. Rosen also went through a midseason offensive coordinator change when Mike McCoy was fired. His unimaginable offense ranked near the bottom in most conventional statistics at his departure. McCoy’s offense made running back David Johnson, who led the NFL in yards from scrimmage (combined rushing and receiving yards) during his first team All-Pro 2016 season, ineffective. Rosen would be considered by some talent evaluators as the second-best quarterback behind Murray if available in this year’s draft. Under this assessment, teams seriously considering a quarterback in the first round should be potential trade partners for the Cardinals, especially in light of how cheap Rosen is for the remainder of his rookie contract. Rosen’s last three years of his rookie contract cost approximately $6.24 million, which is 35.5 percent of his deal’s total value. The trade would still allow the acquiring team to exercise the fifth-year option with first-round picks (the 2022 season, in Rosen’s case). Rosen’s 2019 through 2021 cap numbers for the acquiring team would be $1,279,898, $2,079,796 and $2,879,694, which are also his remaining yearly salaries. Compared to the projected four-year contracts 2019 first round picks should sign under the NFL rookie wage scale, Rosen is a bargain financially. The chart below illustrates the projected value with the draft slots of the teams that could consider taking a quarterback in the first round. Signing bonuses were increased eight percent from last year’s deals. This is slightly more than the increase 2018 first-round picks received over the previous year because the growth in the salary cap this year is a little more than last year. Note: The entire deals are fully guaranteed except for the No. 28 and No. 32 picks. A portion of those picks’ 4th year is fully guaranteed. Rosen was a polarizing draft prospect last year. His character, attitude and passion for football were questioned by some teams. Any teams in need of a quarterback that weren’t enamored with Rosen when he was draft eligible are unlikely to have interest in him this year after his underwhelming rookie performance. 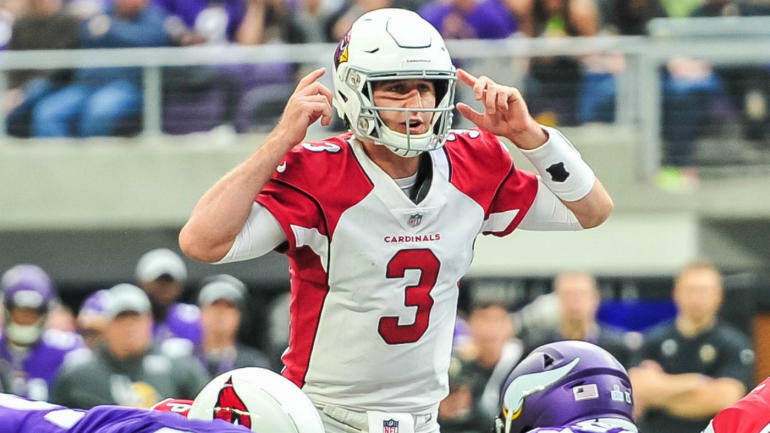 There’s a school of thought that the Cardinals should retain Rosen after selecting Murray, at least for the time being, if the trade market doesn’t develop to their liking. Theoretically, Rosen under Kingsbury’s tutelage could increase his trade value during the preseason or in any regular season games he played. Having Murray and Rosen in the same quarterback room would be a dicey proposition. The Cowboys from Jerry Jones’ first year of ownership in 1989 should serve as a cautionary tale. Troy Aikman was selected with the first-overall pick in the draft. Surprisingly, Steve Walsh, who played quarterback for head coach Jimmy Johnson at the University of Miami, was selected by the Cowboys with a first-round pick in the supplemental draft. Dallas forfeited its first-round pick in the 1990 regular draft because of Walsh’s selection. Having two first-round quarterbacks from the same draft year was problematic. Aikman was distrustful of Johnson because of his history with Walsh. The locker room was split into two camps instead of rallying around one quarterback. The Cowboys’ only win in 1989 came when Walsh started while Aikman was injured. Neither quarterback did much to distinguish themselves as rookies. Aikman was named to the All-Rookie team almost by default. The Cowboys solved the problem early in the 1990 season by trading Walsh to the Saints for first-, second- and third-round picks. The Cardinals’ interest in Murray may very well be a smokescreen designed to drive up the trade value of the first-overall pick. If the interest in drafting Murray is sincere, Arizona’s best deal for Rosen may not arise until the hours leading up to draft or after it starts, even if the compensation isn’t what’s desired. Conceivably, some team that had its sights set on a specific quarterback in the first round that was already selected could view Rosen as a viable alternative. Having both quarterbacks on Arizona’s roster at the beginning of training camp has the potential to be a disaster.